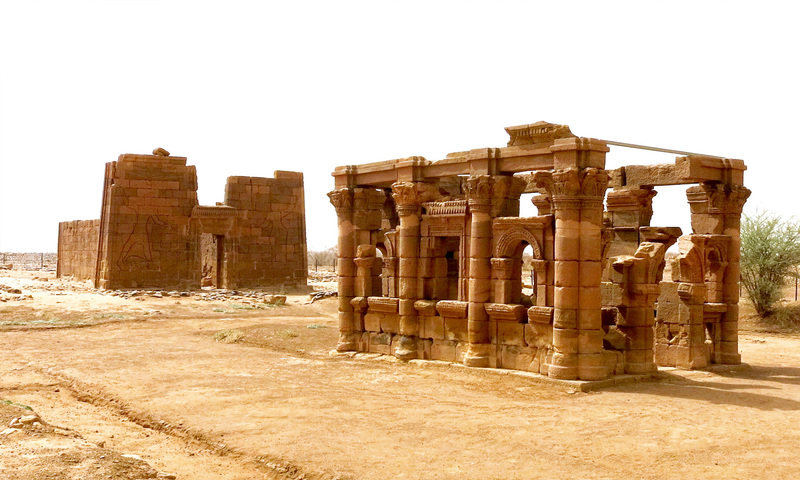 Due to a seemingly never ending civil war, severe curtailment of press freedoms and a virtually non-existent tourism industry, very few of Sudan's breathtaking cultural and archaeological wonders are ever seen by the outside world. 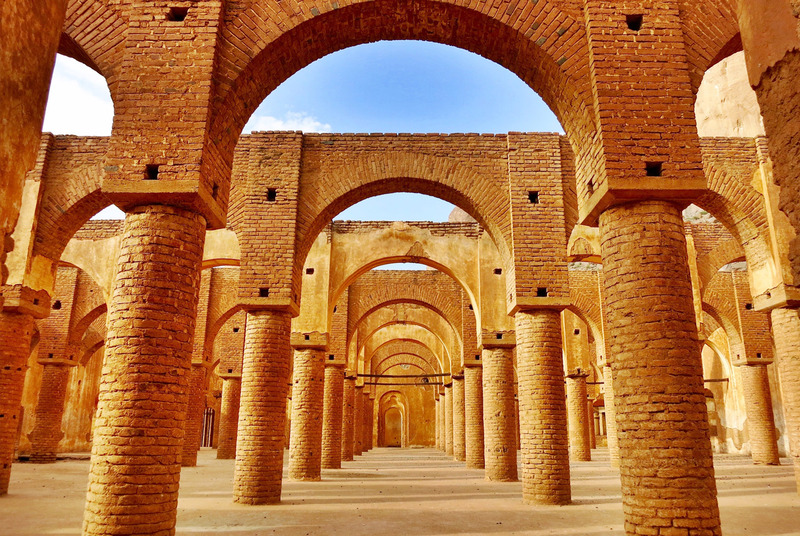 Yet a legacy left by several millennia's worth of ancient civilisations, coupled with the more recent mark of British Colonialism, makes Sudan one of the most fascinating countries to explore throughout the whole of Africa. You might be surprised to learn that Sudan has almost twice the number of ancient pyramids compared to Egypt, with over 250 discovered to date. Although considerably smaller in size than the more famously known Pyramids of Giza, they are by no means less impressive. Unfortunately, in 1834 the overly-zealous Italian explorer, Giuseppe Ferlini, mindlessly decapitated 40 or so of the more impressive tombs in his search to find their hidden treasures; he only ever found gold in one of the pyramids! The Kushite Pyramids of MeroÃ«. 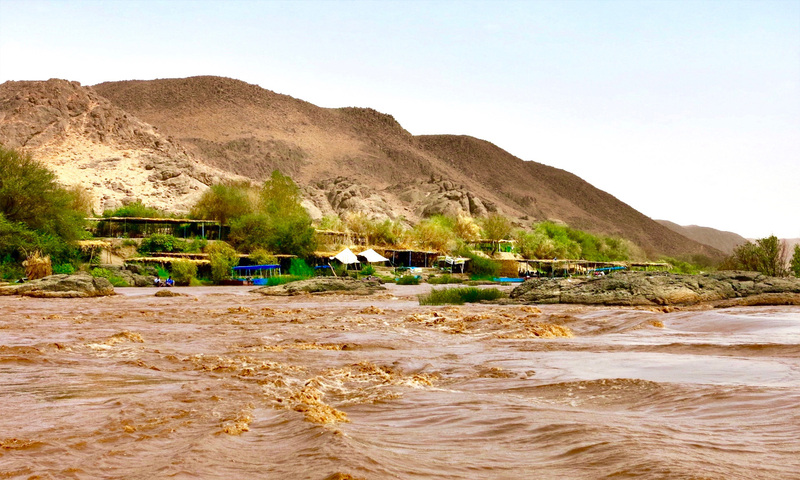 Yet along the entire length of the River Nile you will find breathtaking archaeological wonders such as the UNESCO World Heritage Sites of Jebel Barkal and the ancient Temple Ruins of MeroÃ«, Naqa and Musawwarat. 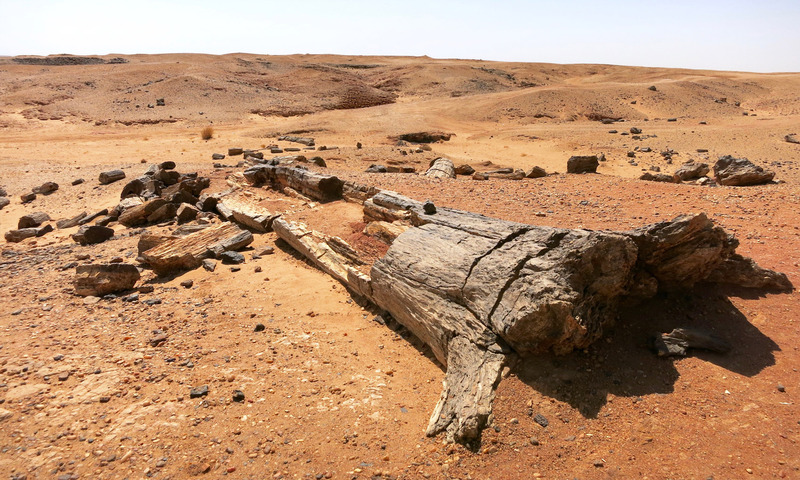 There are also some fascinating natural marvels too, like the Petrified Forest near El Kurru or one of the Nile's 6 rocky Cataracts. What makes these already spectacular sights even more remarkable is that you are invariably always alone and without a single other tourist in sight. It is a stark reminder that the FCO advise against all travel to vast swathes of the country and one reason why trade from tourism is almost non-existent. Even the photographs contained within this article could only be taken after I had gained express permission from Sudan's Ministry of Tourism. However, the real problem is simply getting there. Petrified forest: Prehistoric trees transformed to stone over millions of years of fossilisation. Before the advent of South Sudan's succession in 2011, following the end of the Second Civil War, Sudan was the largest country in Africa, making up nearly 10% of the continental land mass. Unfortunately, the Republic of Sudan as it is today now forms a large part of the African Sahel; an area spanning nearly 5000 miles across the entire breadth of Northern Africa. Considered to be one of the most dangerous regions in the World, the Sahel provides a lawless and transient corridor for the spread of Islamic Extremism from the Middle East. 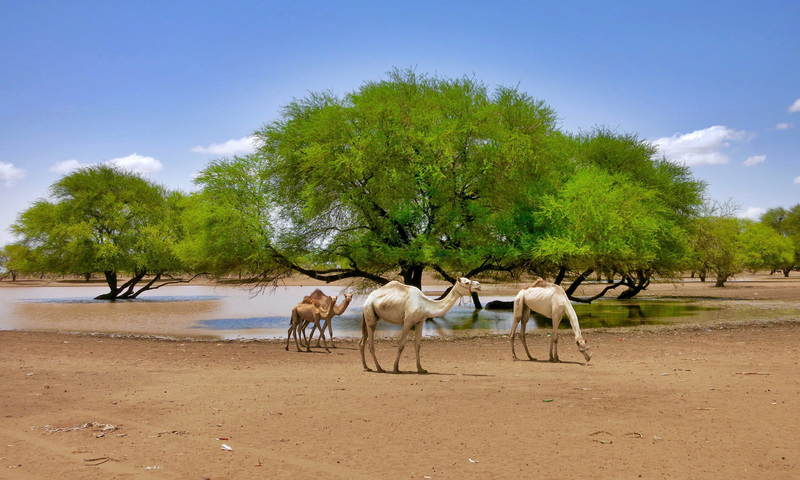 A camel watering hole near Kassala in Eastern Sudan. After the New York terror attacks of September 2001, Sudan was placed on the United States' list of State Sponsors of Terrorism; a decision reaffirmed by the US as recently as June 2015 due to the known presence of terrorist affiliated groups within the country. More historically, following Lord Kitchener's victory at the Battle of Omdurman in 1898, Sudan was under Anglo-Egyptian rule and effectively run as a British Colony until its independence from Great Britain in 1956. Since then, the country has struggled to implement any form of enduring democratic process or stable governance, leading to a succession of military coups and political embroilment. Ironically, Sudan's most stable political period post independence has been under the autocratic rule of its current self-declared President, Omar al-Bashir, following his own successful military coup in 1989. However, an International Criminal Court (ICC) Indictment for multiple counts of genocide, war crimes and crimes against humanity, means that relations between Sudan and the wider international community remain strained. The Sufi Tombs of Wad Madani. During the course of Sudan's Second Civil War, notorious for being one of the longest and bloodiest conflicts in recent history, an estimated two million civilians died as a result of fighting, famine and disease; one of the highest civilian death tolls since the end of World War II. Today, the country's religious and ethnic divides, between the largely Islamic north and predominantly Christian south, are deep rooted and violence continues between the Sudanese Armed Forces and rebel groups in the volatile regions of Darfur, South Kordofan and Blue Nile State. As such, opportunities for outsiders to visit the country are few and far between and the issuing of travel visas is tightly controlled. 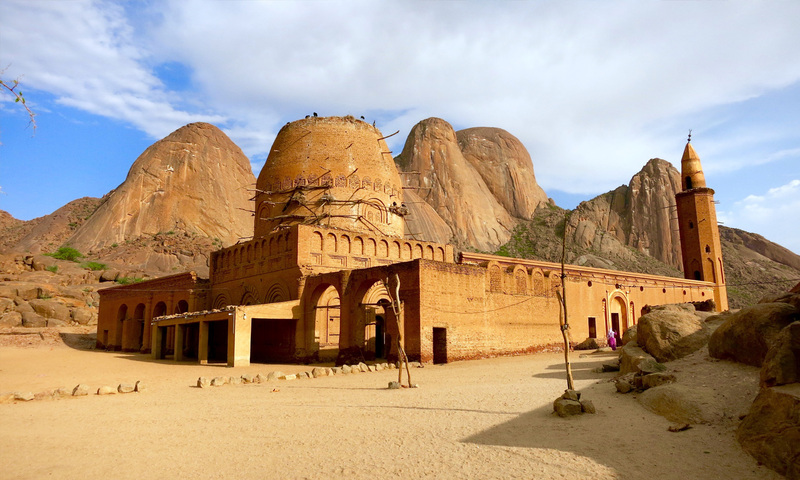 The Khatmiyya Sufi Mosque in Kassala, Eastern Sudan. 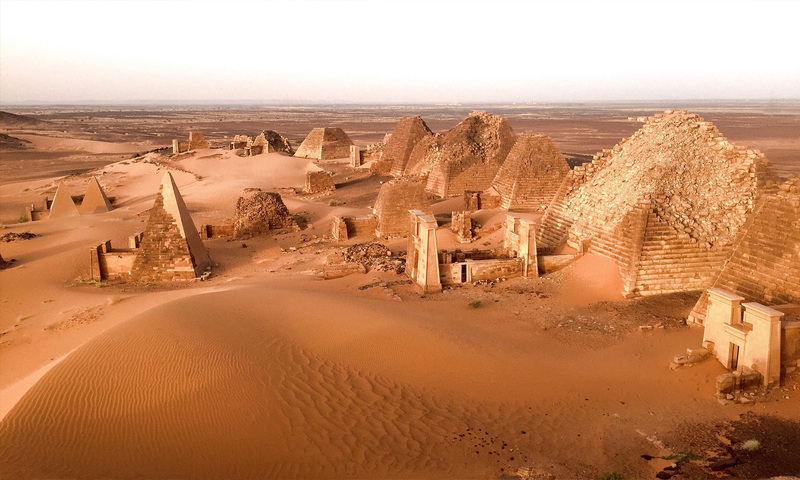 Yet despite the country's turbulent past, Sudan has a much richer heritage that is rarely ever seen on the international stage. 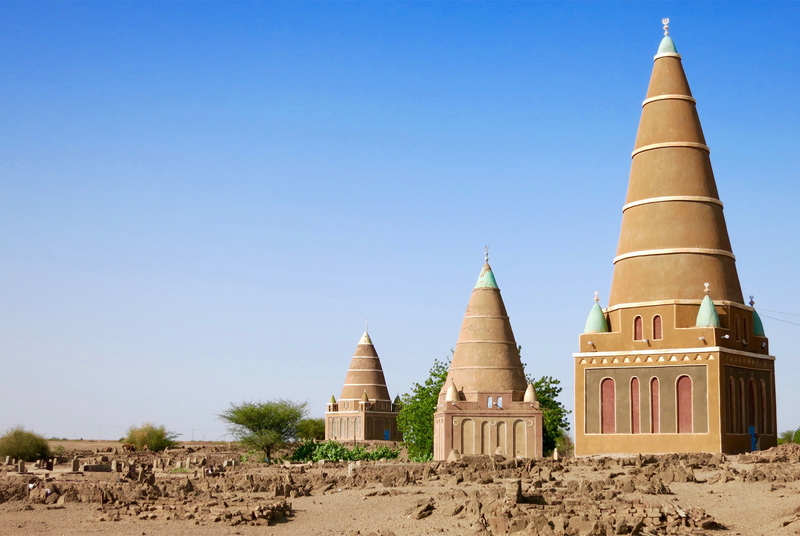 With well over 7,000 years of notable human history and given the fact that Sudan shares its border with seven other African Countries, its population is exceptionally diverse. The presence of the River Nile, flowing from south to north, right through the centre of the country, has attracted various civilisations across several millennia attempting to lay rule over its fertile plains. 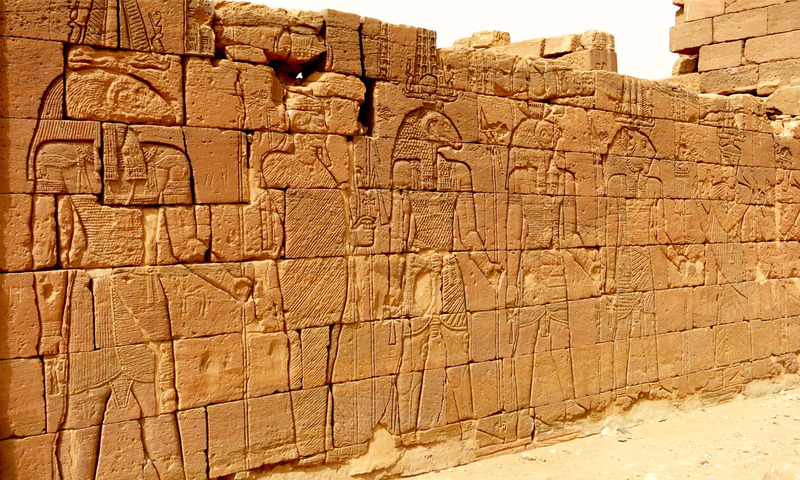 The most prominent being the Nubian Kingdom of the Kush, from which the ethnic and cultural influences of Ancient Egypt can be traced back to the Early Dynastic Period of 3100 BC and are still largely evident today among the country's plethora of extraordinary archaeological sites. 6th Century Roman 'Kiosk' at the UNESCO World Heritage site of Naqa (also Naga'a). The 2000 year old 'Lion Temple'. Interestingly, Sudan has also played host to Osama bin Laden who made the Capital city of Khartoum his temporary home for a number of years after he was expelled from Saudi Arabia in 1992. Bin Laden's former residence in the city's district of Riyadh can still be visited today, although it remains unoccupied due to local suspicions it might be bombed by the United States. Due to its sheer scale, Sudan's terrain is also incredibly varied. To the north, huge expanses of inhospitable Sahara Desert span the boarders with Chad and Libya while volcanic mountain ranges in the south dominate the landscape of Darfur. As well as the rich fertile plains astride the entire course of the River Nile, Sudan also lays claim to over 850 km of beautiful coastline. With spectacular Hammerhead Shark filled coral reefs and an abundance of undisturbed wreck sites to explore, it is self-evident why the scuba diving community consider the area of Port Sudan to be one of the best, yet rarely visited, dive locations in the world. 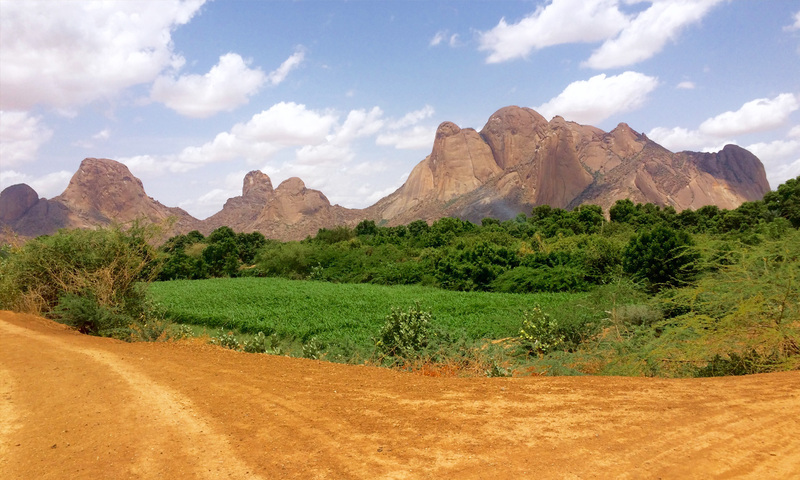 The Kassala Landscape and Totil Mountains, Eastern Sudan. 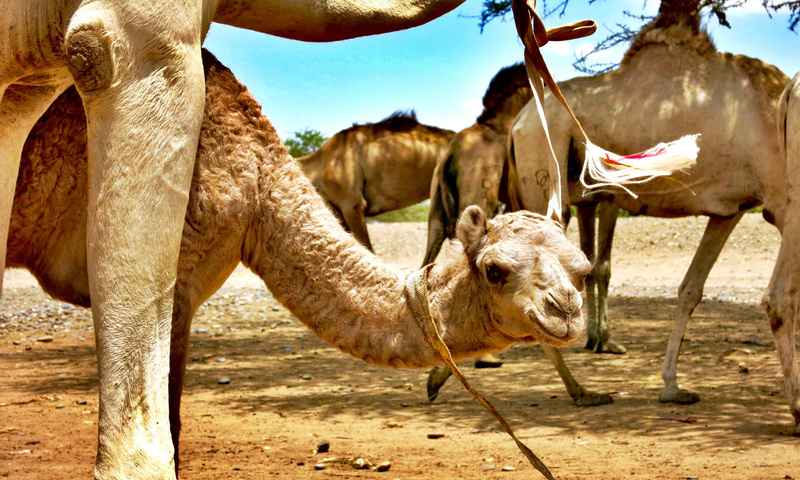 However, what really sets Sudan apart is its exceptionally welcoming and hospitable people. Despite Arabic being the primary language, out of the 597 known Sudanese ethnic groups, over 100 languages and 400 different dialects have been recorded and English is still widely spoken. Fisherman on the River Nile. You will regularly find yourself being invited to drink tea at the side of the road or share an evening meal at Iftar during Ramadan. Socialising holds a significant stanchion in Sudanese culture and you will often see large communal gatherings on the banks of the River Nile, drinking chi long into the warm evenings. Although crime rates within the Capital being comparatively low, Islamic Sharia Law is firmly prescribed and a highly autonomous intelligence service oppressively controls the city. 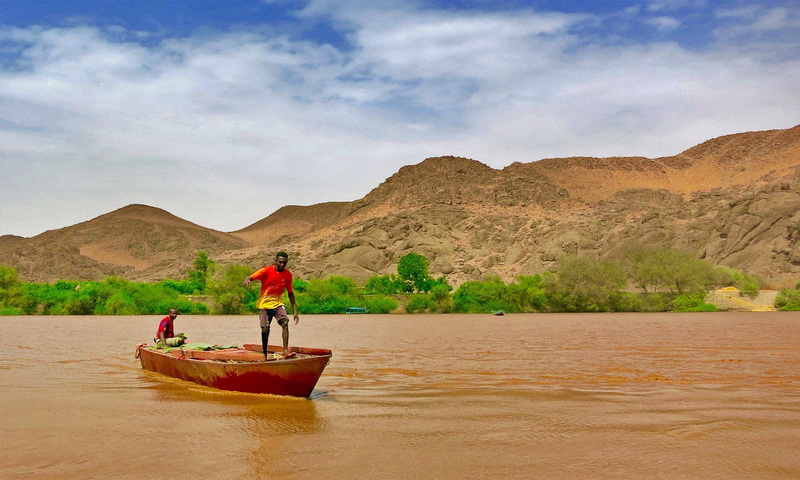 Yet despite Sudan's more shadowy past and evident suspicion of the outside world, the awe-inspiring sights that await if you do manage to visit are simply world class and you will not fail to be reminded on an almost daily basis of that well-coined phrase 'This is Africa'. This is so lovely! I like it because, it has really made me learn more about Northern Sudan that I haven’t been to, since I was born. I am a South Sudanese and love Adventures so much, though some circumstances can’t allow someone to go anywher you wish to visit. Thank You David Love, and the British Army Officer for the historical Infos. This history belongs to the descendants of pharaoh after they were conquered from their Kingdom, they fleed upstream, the name of their king at that was Juba. They were divided at Monroe, some of them followed the white Nile and others including the king followed the blue Nile. Those who followed the blue Nile reached nowadays southern Somalia where the the Tomb of the King is now in the mountains of Gedo province. Few people know the beauty of Sudan, thanks Mr love for your remarkably accurate description. Thank you for your description of the Sudan , I lived there throughout the 70ties and have very fond memorize of country and people ! thank you so much for your kind words. Would you like to share your memories from the 70s and what has changed since in your opinion? Thank you very much. I would like to say this country deserves more tourists. Many people who visit Sudan found that Sudan is extremely safe. I would like to add that Sudanese people are very friendly and respectful with foreigners. We are well known for our unique brand of hospitality. Wonderful pictures and very enlightening comments, thank you so much for giving us an insight on a totally unknown country. I’m definitely putting it on my wishlist !